Hello! 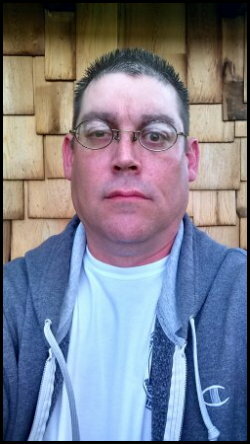 My name is Gregory Syroney, and I was born on December 13, 1972, at Scioto Memorial Hospital, in Portsmouth, Ohio, and was raised in Rarden Township, and in a small town in Northwest of Scioto County, called Rarden. 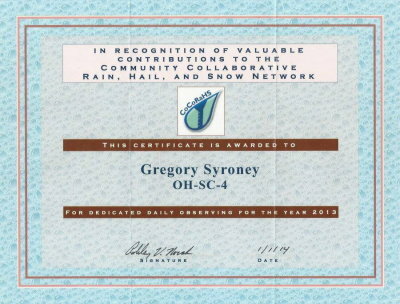 I am the youngest son of Shirley Sue (Smith) Syroney, and the late George Beatty Syroney I. I attended Otway Elementary School, in Otway, Ohio, Northwest High School, in McDermott, Ohio, and Scioto County JVS, in Lucasville, Ohio. I graduated from Northwest High School and Scioto County JVS, in 1992. I joined the Rarden Volunteer Fire Department when I was 13 years old as a Junior Firefighter. I was the first person to apply as a Junior Firefighter, and I was the one that started the Junior Firefighter Team. As a Junior Firefighter, I helped wash the vehicles, for parades, and after fire runs, and helped to man the stations Base Radio on calls. After each fire run, I helped wash off the fire hoses and placed them on the hose rack to dry, refilled supplies that were needed for the vehicles. And after the severe storm, I would go out in the Fire Trucks with my dad and check the roads in our Township for down trees. Every time the Siren sounded my dad and I would respond to the station very quickly. We took pride in volunteering for the fire department, and we enjoyed serving and protecting in our community and surrounding community. And after I graduated I became a Full-Time Member with the Rarden Volunteer Fire Department, to help to Protect and Serve for my community and surrounding communities. I resigned from the Rarden Volunteer Fire Department, in 1998 two years after my father passed away in 1996. I am a former member of the Sons Of The American Legion, James Dickey Squadron #23, in Portsmouth, Ohio, former firefighter member with Rarden Volunteer Fire Department, in Rarden, Ohio, former member of Our Lady of Lourdes, in Otway, Ohio, and former piano player at the Rarden United Methodist Church, in Rarden, Ohio. I am a proud father of two lovely children, my daughter Keri Sue Boehm, and my son Jordan Levi Syroney. 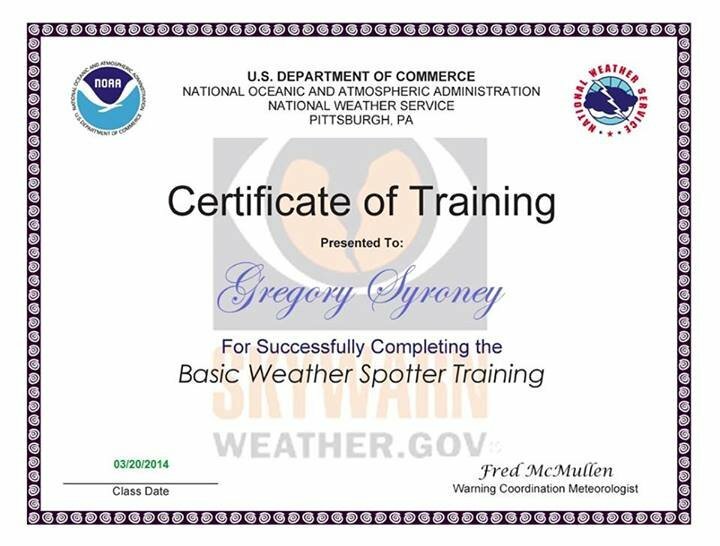 I took Storm Spotter Training Classes in 2001 in Adams County and in Scioto County. 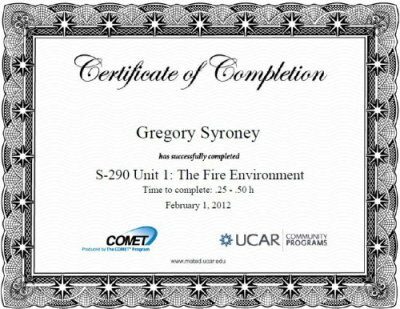 I took this training cause I enjoy being outside during severe weather conditions. I would always watch the radars on WLWT Channel 5 when I lived in Rarden, Ohio when storms were moving toward Scioto County. Then after I took the Storm Spotter Training, I started to monitor the Radars online from the National Weather Service. I still go by the NWS Radars and their Forecast. One reason I go by their Forecast is because they have Storm Spotters all over the United States that calls in Severe Weather. 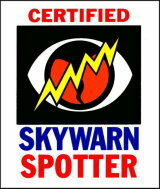 Storm Spotters are the Ground Level Eyes for the National Weather Service. 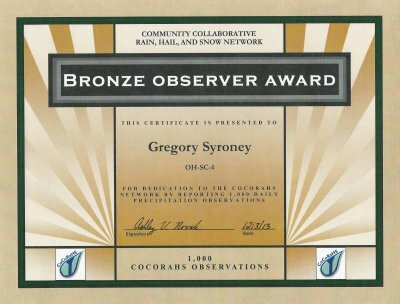 I enjoy keeping my eye on the sky for the NWS. I attended Shawnee State University, from 2005 to 2008, I took Web Design Classes and passed the course with a B+. Why did I take the Web Design Class for? I took it so that I could learn the NEWER Version of the HTML Codes. I taught myself in the late 1990's how to build websites with HTML Codes. And now that I know the NEW HTML Codes I used them on this website and other websites. When I was little I would always sit outside with my father on the front porch every time we would have a severe thunderstorm. I always enjoyed sitting out on the porch with him watching it pour down the rain and to see if the lightning would hit the ground nearby. We would always sit outside on folding lawn chairs every time it would storm. On March 1, 1997, Scioto County got ten inches of rain fall within a 12 hour period. All the roads were flooded and it took me over three hours to get home from work that morning. This was the worst storm that I have ever drove through and seen. And I got involved in chasing storms because I love to be outside when it was storming. My father was my idol when I was growing up. So I basically followed in his footsteps. In 2005, I started designing websites and graphics for WG Web Development, here in Portsmouth, Ohio. Late in the night of January 29, 2012, I was up and a friend sent me a link to take the SkyWARN Spotter Training Courses online. So I went to the link and registered with MetED's website so that I could take this online training course. The first part was SkyWARN Spotter Convective Basics and got a score of 77% out of 100%. Then I took the next part which was Role of the SkyWARN Spotter and got a score of 74% out of 100%. So my average Score for both Online Test was 76%. And you have to get 70% or higher to pass the Test. 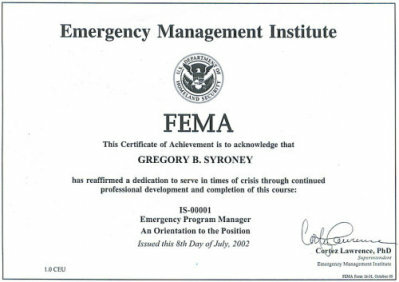 Then after I got finished, I Submitted my information so that they could send my information to the National Weather Service so that I will get credit for my Spotter Training. 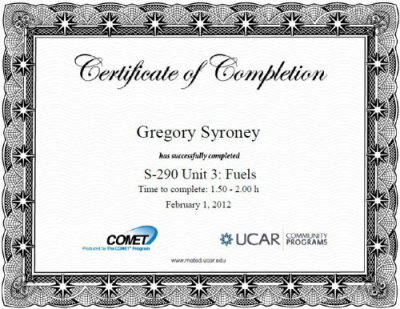 And I have total of three Certificates on which I received from MetED. On March 13, 2012, the DeFOREST AMATEUR RADIO CLUB in West Union, Ohio, hosted a Basic Storm Spotter Training Class. This class was taught by Mary Jo Parker, from the National Weather Service Office out of Wilmington, Ohio. So I went to take this Training Class again, since I haven't been to one since February of 2001. I really enjoy taking this Training Class that is offered by the National Weather Serivce. I am a Former Member of the Orient Lodge No. 337, IOOF, which I became a member on March 17, 2012, in Portsmouth, Ohio, also in 2013, I joined the Hiawatha Encampment No. 70, on January 1, 2013, in Martinsville, Ohio, I joined the Star/Orphans Hope Lodge No. 182, IOOF, on August 8, 2014, in Martinsville, Ohio, as an Associate Member, and I am also an Associate Member of the Prokop Velky Lodge No. 708, in Glenwillow, Ohio, since April 12, 2016. On September 15, 2016, my Transfer from Orient Lodge No. 337, in Portsmouth, Ohio, to the Star/Orphans Hope Lodge No. 182, in Martinsville, Ohio, was approved by the members of the Star/Orphans Hope Lodge.